Who is the best new artist? What is the song of the year? Who will win the album of the year? A day from now, the Grammys will provide answers to these questions and more. I will shine a spotlight on the music stars ahead of time. Also, I will give Grammy predictions. The live Sunday show on CBS starting at 8 PM (E.S.T.) is hosted by the one and only Alicia Keys. I feel fans will get what they deserve. Once the red carpet rolls out, eyeballs will be glued to the TV screen. All eyes will be on Cardi B. What will she do? What won’t she do? 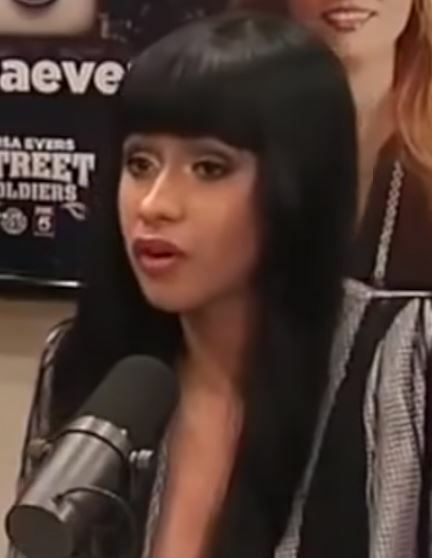 Wait and see, Cardi B’s performance will be the biggest story of the evening. I can see the Tweets coming in, already. The “Bodak Yellow” rapper aims to please. She is one of the hottest topics in the entertainment industry. I predict Lady Gaga will have a moment. The star will shine. I expect Lady Gaga to win for A Star Is Born. 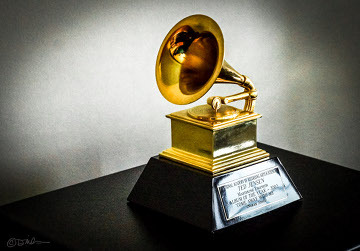 Do the Grammys need to legitimize Lady Gaga? Does she need validation for the Oscars? It would shock me if Gaga doesn’t leave with a Grammy Sunday night. Best new artist is a crowded field and close contest. Margo Price and Greta Van Fleet are great, but Dua Lipa should win. The “New Rules” songstress is a big deal. You could argue Chloe x Halle should win because of the Beyonce advantage. It is an interesting conversation. While we’re having this discussion, we must remember Jorja Smith. The 21-year-old British singer is sensational. And Jorja has a bright future. What about the crown jewel? Could Ella Mai win the song of the year? 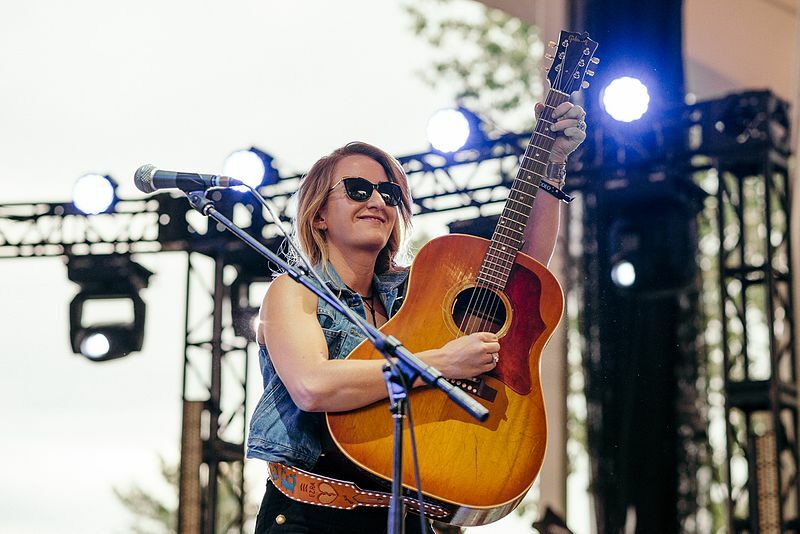 This London, England native is earning every one of her English Music Royalties. “Boo’d Up” is just as successful as “Bleeding Love.” I believe she is next in line behind Leona Lewis. I won’t predict record of the year because it is the most complicated award for a host of reasons. I could write an entire article on this category alone. However, I will predict album of the year. The $100 Million Man Drake’s Scorpion should win the prestigious award. I expect Childish Gambino’s “This Is America” to win best music video. And you can’t forget about H.E.R. and Beck. I feel The Carters will win trophies too. Beyonce and Jay Z made a masterpiece this past year. The Grammys countdown is underway. Are you excited? Will you watch the red carpet? What are your plans afterward? More music stories to come. I am Guru Jay launching into orbit in 5-4-3-2-1! I’ll prove to you why Jason Statham is a top 5 action movie star in this article. There are only a handful of action movie stars in the first place. You see it is challenging to make a living in Hollywood as an actor, let alone a movie star. Becoming an action movie star is more difficult than mountain climbing. Like a mint condition coin, an action actor must stay in tip-top shape. Plus, you must be a good actor to keep your job. You can’t let your skills decline. To keep your shine, you must stay polished. To be the best, you must strive for greatness. Just Being good isn’t enough. At 51, Jason Statham’s career speaks for itself. He is internationally recognized as a top 5 action movie star. Plus, the star who was born in Great Britain, is one of the best actors of his generation. The celebrity is popular with approximately 53 million Facebook fans and counting. 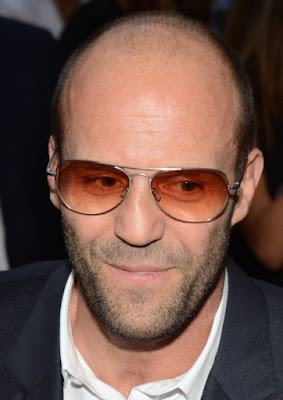 Moreover, Jason Statham means the world to Fast and Furious. The franchise can’t survive without his character. He is thriving in his new role. I expect Hobbs and Shaw to be a major success because of his tremendous talent level. Plus, the action actor gels with Dwayne“The Rock” Johnson. Hobbs and Shaw should shatter box office records in 2019. Check Box Office Mojo for results. Aren’t you excited about Idris Elba’s part in the movie too? Also, Vanessa Kirby will appear in the film. Kudos to the casting director. I’m looking forward to seeing Hobbs and Shaw. It is a must-see movie without a doubt. The Expendables star deserves his accolades as an action hero. He is wealthy with an estimated net worth of $70 million. Did you know Statham performs some of his stunts? If you had $70 million, would you stunt? Do you remember when Sylvester Stallone added Arnold Schwarzenegger to the cast? Jason Statham was with him from the start. You can’t deny the star’s brilliance as an action actor, but he’s more than expendable. I highly recommend the Crank series and the Transporter trilogy. If you watch those, I guarantee you will like his Facebook page. Check out Blitz, Wild Card, Redemption and the Bank Job. 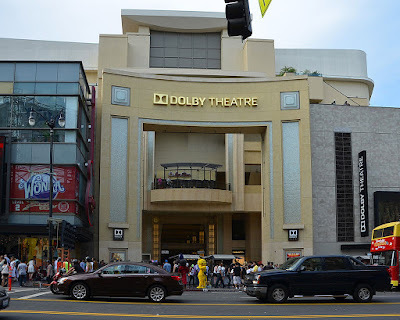 Hollywood and the entertainment industry are huge, but the elite are a small bunch. You can name the top 5 action movie stars on one hand. Jason Statham is one of the top 5 Hollywood action actors because he is elite. He is the best at what he does. And he does it better than anybody else. In 2007, I watched the IMAX version of Spider-Man 3 starring Tobey Maguire in theaters. It was one of the best superhero movies I’ve ever seen. I remember identifying with James Franco’s character (Harry Osborn) at the time. Franco was very convincing in his role. They were going to make Spider-Man 4 but cancelled. What are your thoughts on the new Spider-Man? I haven’t seen the new franchise yet. James Franco is the main reason I like the original. When I was younger, I watched Freaks & Geeks on TV. I didn’t care if they were reruns. I memorized the theme song “Bad Reputation” by Joan Jett. This show, much like That 70’s Show, was a hot topic of popular culture by teenagers. Again, James Franco’s character (Daniel Desario) was relatable. James Franco literally stole the show. I’ve been a James Franco fan for a long time. He is an impressive guy. Did you know he has a PHD? That’s one reason he is believable in Planet of the Apes as Dr. Rodman. I feel he has earned coveted roles because of his education. James Franco excels at drama, but comedic acting is his forte. I argue that Pineapple Express is his best movie bar none. Maybe, that’s a little strong but you understand. His chemistry with Seth Rogen is unmatched. Moreover, James Franco is a Saturday Night Live (SNL) legend. He’s hosted the show four times to date, and I’ve watched every minute of his SNL. Have you seen 127 Hours? The thespian put his heart and soul into the film. Additionally, he has demonstrated his remarkable talent in a variety of other films. This Hollywood star succeeds because he takes risks. James Franco sticks his neck out and goes the whole nine yards. That’s why he is a cream of the crop talent. Gina Rodriguez will star in the upcoming Miss Bala movie. I’m looking forward to seeing the film, and possibly doing a movie review here. Right now, I feel Miss Bala will live up to all the hype. I believe Gina Rodriguez is becoming one of the best Latina actresses in the entertainment industry. Moreover, this article takes a good look at Gina Rodriguez from Jane the Virgin to Miss Bala. Let’s start examining her talented display. Given Gina’s experience, she will perform above and beyond on the silver screen. The Hollywood actress was one of the hottest starlets under 30. We just didn’t know it at the time. I argue her name is bigger than Lea Michele and Naya Rivera. Born in Chicago, Illinois, Gina Rodriguez is Puerto Rican. The 34-year-old is a role model. Check out Carmen San Diego on Netflix. She voices the lead character. This past week I binge-watched Jane the Virgin. They give you a lot in one episode. It is a treat watching Gina Rodriguez improve her acting skills. You can see why the celebrity is a bright Hollywood star by just watching her act onscreen as Jane. Her acting abilities reminds me of Michelle Rodriguez back in the day. Plus, she is pretty like Eva Mendes. Without question, this former TV star makes Sofia Vergara and Eva Longoria proud. Did you know that they are making a spinoff of Jane the Virgin called Jane the Novelas? Also, you should know Miss Bala is a remake. Do they make anything original nowadays? That’s another story. Anyway, do you remember Zoe Saldana’s breathtaking performance in Colombiana? I feel Gina Rodriguez’s showing could top that because Miss Bala has a similar plot. Time will tell. Everyone can enjoy Gina Rodiguez’s talented display. She receives high marks on my scorecard. It is a pleasure watching her entertain. Let’s see what happens. Stay tuned. How do you describe Awkwafina to your parents? She is not a brand of water, but she is a marketable drink. Due to her graphic content, she is an “adult beverage.” Don’t confuse Awkwafina with Aquafina. You’ll get in trouble if you consume her, and you’re under 18. All jokes aside, Awkwafina appeals to a wide demographic of consumers. She is a Hollywood star, who can bank on her name. Like 50 Cent, the Asian American rapper turns financial institutions into comedy clubs. Maybe, she is laughing at Wells Fargo right now. Did you know the celebrity was fired for her viral music video called “My Vag?” She went on Late Night with Seth Meyers and described the ordeal. Although she was fired, this video gave her instant credibility. In a short span of time, Awkwafina became a brand name in the notorious entertainment business. I believe the celebrity will have longevity in the entertainment industry, because she is diversifying her talents. She’s more than just a rapper. She is a multi-talented entertainer. 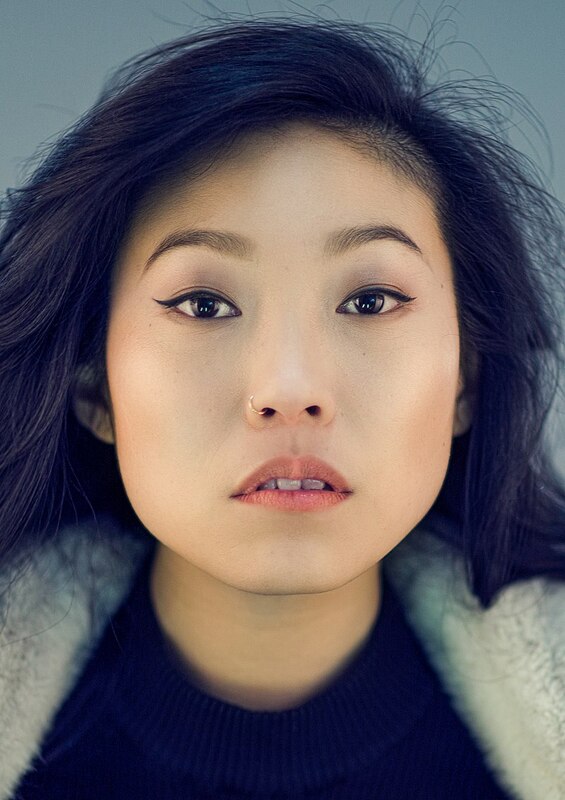 Additionally, I feel Awkwafina is a pretty good actress as well. I highly recommend watching Ocean’s 8 and Crazy Rich Asians. After giving an amazing performance in Ocean’s 8, she gave an even better one in Crazy Rich Asians. The one-of-a-kind entertainer is refining her skills. She has the potential to be a big blockbuster attraction. No one on the corner has swagger like this beautiful Asian actress. She reminds me of Lucy Liu. I would like to see her replace Lucy Liu’s character in a remake of Kill Bill. There are infinite possibilities with Awkwafina. Without a doubt, directors love working with her because she is unique. Awkwafina “started from the bottom, now she’s here.” Who wants to see her work with Drake? She is becoming a favorite New York City celebrity. Awkwafina became a brand name the new school way. There’s nothing old-fashioned about this funny girl. Also, her sense of humor and humility has taken her a long way. I’m excited every time I read about Awkwafina in the news. Is Liam Neeson a Top 10 Actor? What do you feel are the best Liam Neeson movies? If you had to choose just one, would you choose Taken? Maybe, you would choose The Commuter because the film is more recent. If Keanu Reeves is unstoppable, so too is Liam Neeson. Have you seen Non-Stop? Non-Stop is easily one of Liam Neeson’s best movies. At any rate, Liam Neeson is still making great movies. Plus, Liam Neeson is a premium actor. I argue that Liam Neeson is one of the greatest actors of his generation. He’s done enough in his career to be honored for his greatness. Where is his place in Hollywood history? How far atop the totem pole do you rank the movie star all time? Before we begin ranking movie stars, it is important to understand the ranking system. The ranking system contains opinions. Your opinions are valuable. Additionally, the critics love Liam Neeson. His movies consistently receive high marks and open big at the box office. 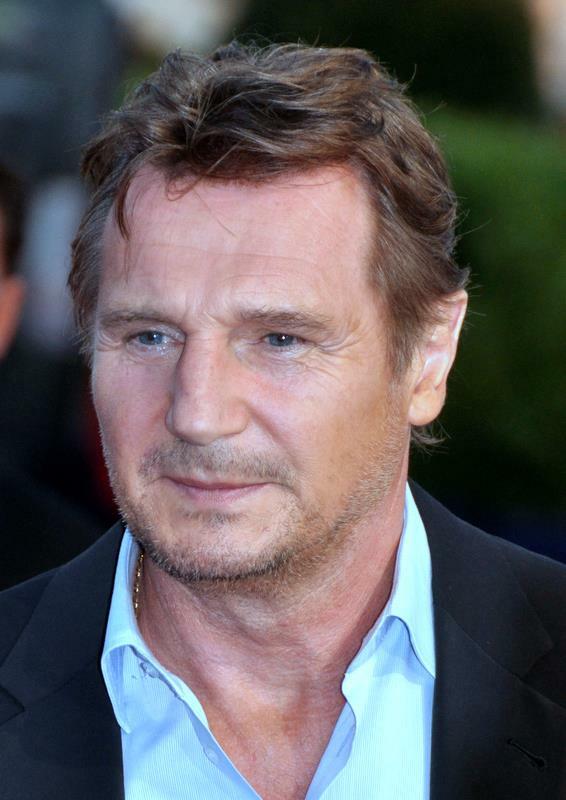 Liam Neeson was born in Ireland in 1952. I consider him the Irish Tom Hanks. If he’s starring in a movie, you want to watch it. He has an impressive filmography. As you will soon find out, he is a bankable star like Sandra Bullock. I predict Cold Pursuit will have a strong opening at the box office. The movie appears to capture the magnitude of his acting skills. Liam Neeson is a very versatile actor. Neeson is no stranger to the spotlight. The celebrity has built a durable brand over his career. Check out Liam Neeson movies on IMDB, Rotten Tomatoes, and Netflix. 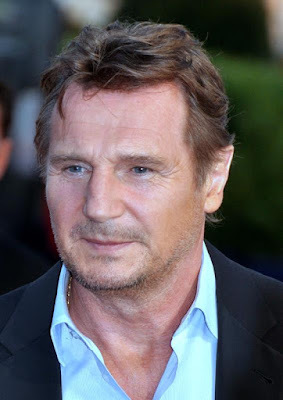 Watch clips on YouTube and Google “Liam Neeson.” Read his Wikipedia page when you have time. You’ll find he is an interesting man. Without question, Liam Neeson is just as fascinating onscreen as he is in real life. The Oscars are upon us. The 2019 nominees are in. And there isn’t a host for the show. But I expect a fun atmosphere and some surprises. There are a lot of questions and I have the answers. Who will win? Who will lose? I answer these questions and more in this article. If you watched the Golden Globes, you have a good idea about the potential winners and losers of the Oscars also known as the Academy Awards. The Golden Globes are a placeholder for the movie award season. Earning one is a big deal. Still, having earned one isn’t a necessary requirement for winning an Oscar. In fact, A Star Is Born was snubbed at the Golden Globes. However, I predict the film will win an Academy Award. I feel Bradley Cooper deserves an Oscar. Plus, Lady Gaga is dominating headlines right now. Let’s start the discussion with Best Picture. 2018 was a great year in movies. How do you go about selecting only one for the grand prize? Black Panther made the most money at the box office. Shouldn’t the number 1 film win the Best Picture? Some say the box office numbers are just one component of the Oscars. I say numbers aren’t everything, but there is power in numbers. Sometimes movies are ahead of their time like Scarface. Bohemian Rhapsody is a worthy contender. Vice doesn’t impress me at all. And I think The Favourite is a classic script. With the popularity of Netflix on the rise, I boldly predict Roma will win an award, but not Best Picture. Best Picture belongs to Black Panther. Next, I believe Spike Lee should win Best Director for BlackkKlansman. It is a controversial film based on a true story. The movie is about a black man joining the KKK. This is Spike Lee’s time. Moreover, Jordan Peele’s involvement as a producer should help the cause. Best Actor should go either to Bradley Cooper or Rami Malek in my opinion. I’m ready to say Bradley Cooper wins outright. Right now, he has the upper hand at this point in the award season. I believe Best Actress goes to Olivia Colman. Hollywood has a habit of following trends, and Olivia Colman is trending for better or worst. Best Supporting Actor should go to Mahershala Ali. He is a fantastic actor and Green Book is an outstanding movie. It would shock me if he doesn’t win. The word on the street is that Regina King will win Best Supporting Actress for her performance in If Beale Street Could Talk. After many years of being absent from “film”, she rightfully earned her onscreen nomination. Here’s where Netflix comes into play. I feel Best Original Screenplay should go to the brilliant Alfonso Cuaron. Roma is too good to ignore. Roma may also win Best Foreign-Language Film as well. Moreover, Bradley Cooper and Eric Roth will likely win for Best Adapted Screenplay. A Star Is Born is beautifully written. It should earn multiple awards. Finally, RBG just might win Best Documentary and Best Cinematography goes to Never Look Away. In 33 days, you’ll know if my Oscars Predictions were on target. Maybe, you have your own predictions that you want to share. Chime in comments.